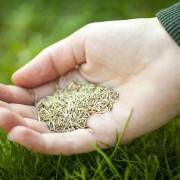 You are here: Home / Sports Turf / Verticutting: What Is It And Why Do You Need It? 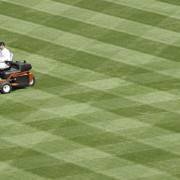 Verticutting: What Is It And Why Do You Need It? An extremely viable and valuable disregarded method for boosting sport turf health is the verticutter. A verticutter has many vertical blades, which are normally arranged .025 and 1.5 inches from each other on a dredging disc to dredge up thatch of the turf. The procedure opens the canopy in order to allow turf to breathe well. The process does not stop at removing any excess thatch but also removes the organic material at or below the plant’s crown area. 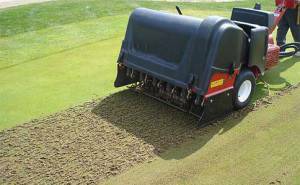 The machine can be confused with the common aerator, but provide different benefits entirely. Verticutters dig deeper into the turf as they are severing stems which maneuver is creating very visible results. After a verticutter, it is important to pass over the area with a mower to remove all residual debris possibly damaging the turf surface. Caring for sports turf can be a very difficult job, not only due to wear-and-tear from constant use by athletes and racing horses, but because those employees responsible for the turf may not have sufficient expertise or knowledge necessary to keep turf healthy and attractive. Sports turf is all too often managed by small towns, school districts or local park services that have never had extensive training in maintenance of turf used for athletics and active sports. It is important to understand the differences between the many procedures and programs for preparing and maintaining sports turf. Vertical cutting devices, called “verticutters” are well known. An example of a verticutting turf device is set forth in U.S. Pat. No. 6,393,814 to Gorey. Verticutting devices have a number of blades connected to a driveshaft. As the driveshaft turns, blades make vertical cuts in the ground, cutting runners in the turf and removing dead thatch and other dead foliage from the turf. When attached to mowers, a verticutter only penetrates the ground at small depths because it is under powered to cut deeper depths. Depending on the turf condition, aeration is preferred over verticutting and vice versa. Also, there are situations when the need exists to use verticutting to process cores removed by the aerator. There is no device that links an aerator and a verticutter into a single useful beneficial unit. One must switch back and forth between an aerator and verticutting machine. As a result the industry is in need for a device which can perform both aeration and verticutting. Still one additional object of this necessary and essential time and money saving invention is to provide a verticutting turf service device that can be adapted by workers for use in conjunction with existing aerator devices. Both the aerator 12 and the verticutter 14 could be operated at the same time either by drive shaft 16 or by individual separate drive shafts. The verticutter 14 cutting depth is thereby able to be raised via adjusting the height wheels 33 to a position slightly off the ground as the aerator 12 pulls plugs or cores directly from the ground. These cores then would engage the blades 34 of the verticutter 14. The device would now perform the functions of aeration and core processing. 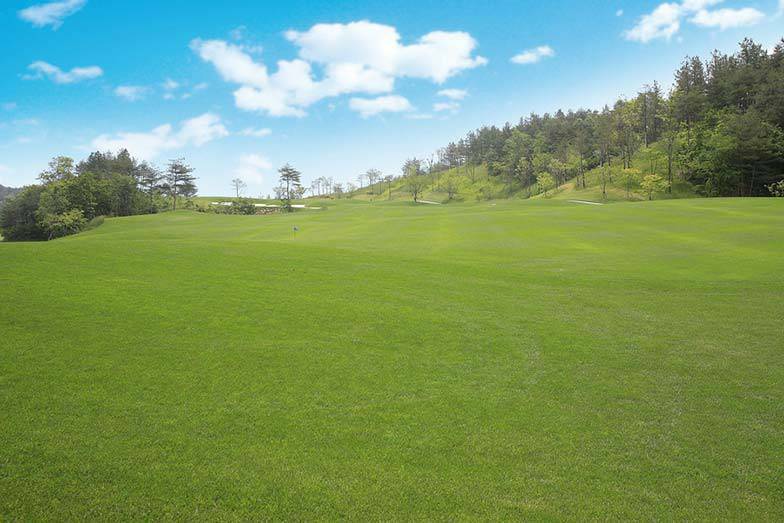 By the use of a verticutting device connected to a conventional aerator, this invention could save money and labor with both the aeration and use of verticutting of soil by a single device. https://cwsportsturf.com/wp-content/uploads/2014/06/Verticutting-Golf-Course-Maintenance.jpg 523 784 Keith Kitchen https://cwsportsturf.com/wp-content/uploads/2013/04/CWLogo-trimmed-F003-cd1.jpg Keith Kitchen2014-06-22 03:20:192019-04-03 11:16:13Verticutting: What Is It And Why Do You Need It?